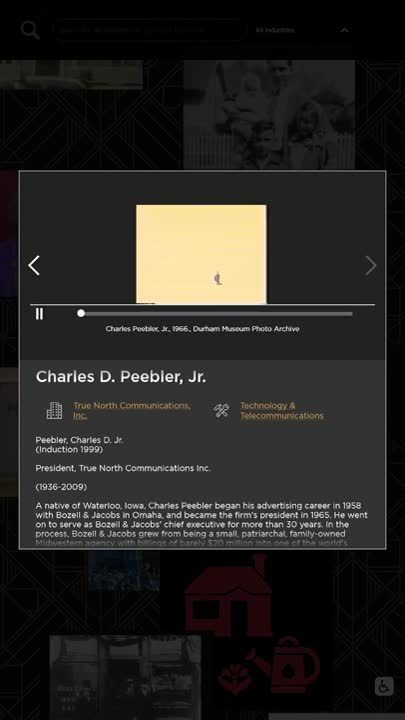 The museum wanted to introduce an interactive element to the space, creating a piece that would allow users to engage with historic photos related to Omaha’s businesses as well as profiles of local organizations and business leaders. A committee of Durham staff worked on this project with the intention of having users to interact with the information, then piece together the story of Omaha’s businesses and industries - demonstrating the entrepreneurship and philanthropic spirit in the Omaha community. With that in mind, Nanonation created an interactive experience consisting of three touchscreens displaying floating cards. When clicked on, a card pops up and The Durham's visitors are able to view pictures, videos, and information on each individual. Additionally, each card will allow users to dig deeper into each business, industry and their role in Omaha's history. To encourage further exploration, Nanonation included a search bar feature so visitors can delve into specific information that piques their interest. The Durham is now able to display more information and photos than ever before to help tell the story of Omaha’s business community. Watch the video below to see how the experience works!